Midland Grand Hotel designed by George Gilbert Scott from 1873-1876. 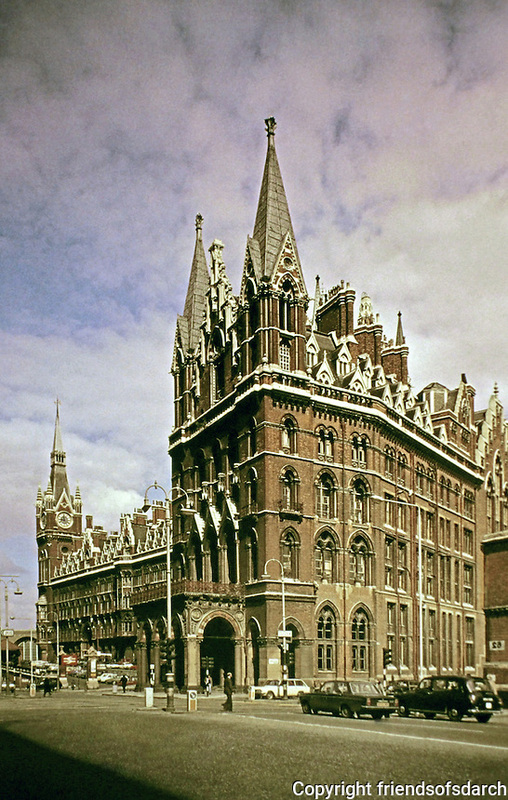 A luxurious hotel constructed next to St. Pancras Railway Station. Redeveloped and now Pancras Renaissance Hotel.